Founded in 2003, Control4 is a leading global provider of personalized smart home automation systems to control lighting, entertainment, security, energy, and other connected devices. With a distribution channel of over 5,700 authorized professional installers and retailers in 100 countries, their solutions allow virtual control of any connected device in a home or business. In order to make every home uniquely customized to an owner’s lifestyle, Control4 partners with over 300 companies and integrates with more than 11,000 devices. The smart home automation industry is growing at an ever-increasing rate partly fueled by the rapid adoption of the “Internet of Things” (IoT) across the consumer market. According to IoT Analytics, the number of devices connected to the Internet across the world now exceeds 17 billion, with 7 billion of those labeled as IoT devices. Of course, all of these devices require Internet bandwidth to work properly and, when a household adds multiple devices to a standard network, the overall Internet connection for that home is weakened as the network attempts to sustain required bandwidth. Control4 recognizes that a smart home must start with a strong network foundation. As stated on their website brochure, “Without a reliable and efficient network, even the smartest devices are rendered dumb.” In order to increase its core competency in networking, the company acquired Pakedge Device & Software, Inc. in 2016. Pakedge was known as a leader in advanced networking products and cloud-network management services. Control4 saw a massive gap between networking knowledge of smart-home technicians and the availability of educational programs. As explained by Rus Rasmussen, Director of Worldwide Education for Control4, “there is no on-ramp into home automation.” The catch-22 in this industry is that companies are hesitant to hire technicians who are not already trained, but there are no formal training programs for the skills required. Control4 is taking steps to change this, the first of which came in December 2017 when they launched the Pakedge Certified Network Administrator (PCNA) program, the world’s first smart home network admin certification of its kind. As a global company with more than 26,000 technicians working on their products, Control4 already had an extensive training infrastructure with eight physical education centers across the world. These training centers provide personal, hands-on instruction with the components technicians use on a daily basis, which is hugely beneficial in a technical job. However, training in physical locations presents a few challenges, especially when new programs are added to the roster. The limited number of seats in a physical location creates a bottleneck. Operating each physical location results in great expense to Control4. The dealers who employ technicians incur great cost from their time away from work as well as expenses associated with traveling to and from a physical education location. In addition to these challenges, Control4 would have been required to build more facilities to accommodate additional training, increasing overall program costs. Given these variables, Rasmussen and his team began investigating ways to build a hybrid, online program. Because the course would require a hands-on learning style, an online approach presents a new challenge as there is a dichotomy between “hands-on” and “online.” This was solved in the overall course design by sending enrolled technicians a box of Pakedge networking equipment to be used throughout course training and assessments. While many online programs teach the soft skills required for a network certification, technicians need to have solid training and experience with the hardware components they will work with on a daily basis. Previously, this level of integration between hands-on training and an online learning experience has never been achieved in this technical-based industry. Control4 set a goal to create a program that can be passed by 80% of people who attempt it the first time. As Rasmussen explains, “when somebody is proud of a certification they’ve obtained, it’s usually because they spent the time and effort required, and there was some rigor involved.” In other words, they didn’t want to create a program that anyone could pass without dedicating time and effort. 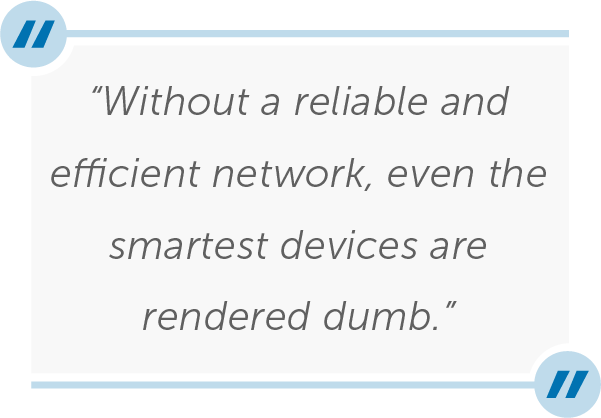 Expanded Access: When Control4 launched the PCNA program in December 2017, they hoped to train 500 technicians in the first year; however, over 2,000 techs enrolled in the course in fewer than 11 months. From a training and proctoring perspective, it would have been nearly impossible to logistically accommodate a 300% increase in expected candidates if the program had not been fully online. 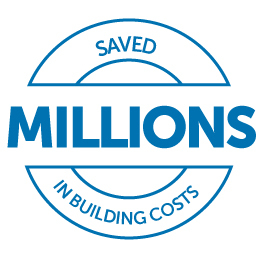 Reasonable Cost: According to Rasmussen, the company saved millions of dollars in building costs by creating the PCNA program online. In addition, the dealers who employ these technicians are saving labor costs because they don’t have to take off multiple days from work to travel and train in a physical location. With everything available online, technicians can complete their training at any location with WiFi access. 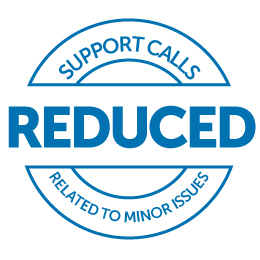 Effective: Since the PCNA program launched, the number of support calls related to minor networking issues have been greatly reduced. When technicians call in for support, it is typically for very advanced networking questions rather than the simple issues that were previously flooding Control4’s support team. Rigorous: Roughly 1,000 technicians have attempted the PCNA final exam and about 850 have passed. 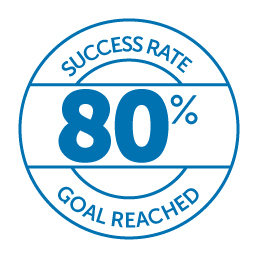 The combination of a valid, reliable assessment and a proctoring service to oversee the exam have added extra layers of integrity to the experience, thus helping Control4 reach their goal of an 80% success rate for technicians taking the exam for the first time. Prior to starting down the path of creating this hybrid, hands-on/online certification program, Rasmussen had never heard of online proctoring. But, for this program’s goals and objectives, it provided the perfect solution. By removing the need to build and maintain testing facilities and hire more instructors, Control4 is able to certify more technicians in a program that is now required for their role. The PCNA program has been so successful in that regard that Control4 is considering additional certifications that can be transitioned to this hybrid model.